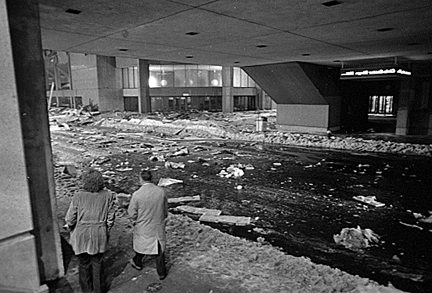 The Hartford Civic Center Collapse is one of the most memorable disasters that I have covered, and to think it was 34 years ago today. 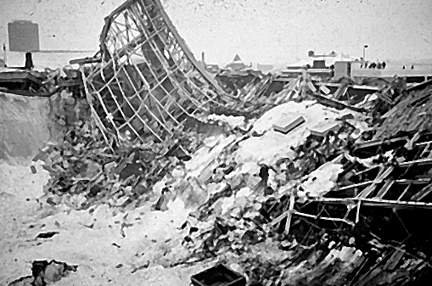 It was before dawn when my father woke me saying that a “big building collapsed in Hartford”. Being a budding photojournalist I got my meager equipment ( a Nikon F camera, 2 lenses, 2 rolls of Tri-X black and white film and 1 roll of slide film) and was out the door before daylight. What I found was a scene that was hard to describe. An erie calm, and silence in the area, except for the sound of payloaders going up and down the street. Debris everywhere, and everyone talking about the basketball game that had just finished several hours before. 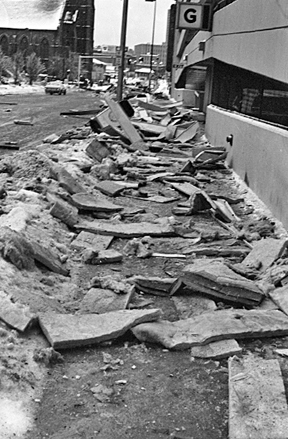 It was later discovered that 4.8 inches of heavy wet snow that had fallen on it’s roof caused it to collapse at 4:18am. Here are some images that I am showing for the first time out of my collection. Remember, these are just a couple. I need some to show for the many years to come. Just to hook you, these are not the best ones. Stay tuned! 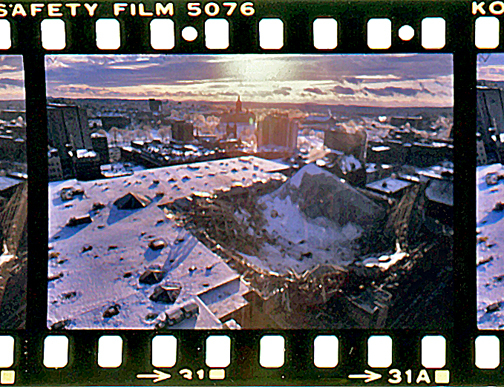 Here is a rare color slide image that I took, and hand processed back in 1978 of the roof collapse from an adjacent building. Back then, quite an accomplishment!